Chatham and Sundae are big fans of doggie ice cream, so for an end-of-summer treat I did some online searching and found a great recipe on CollarGirl.com. 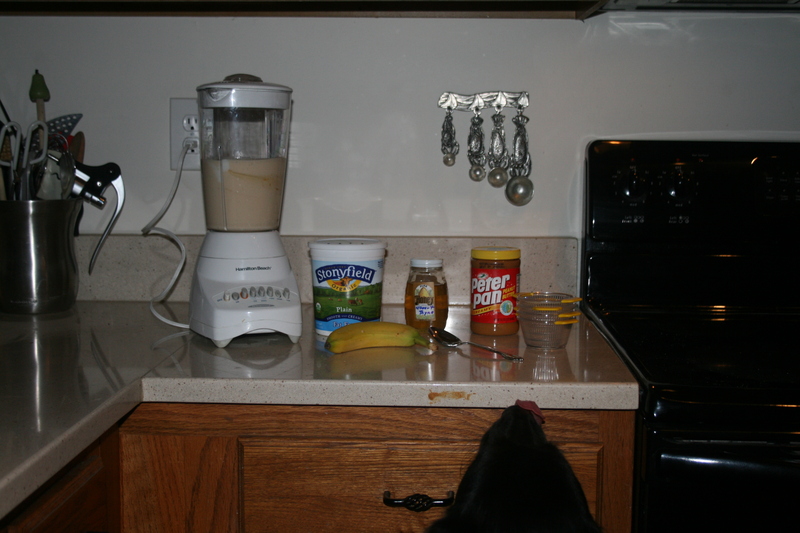 It has just four ingredients, and all you need is a blender, some cups and a freezer! 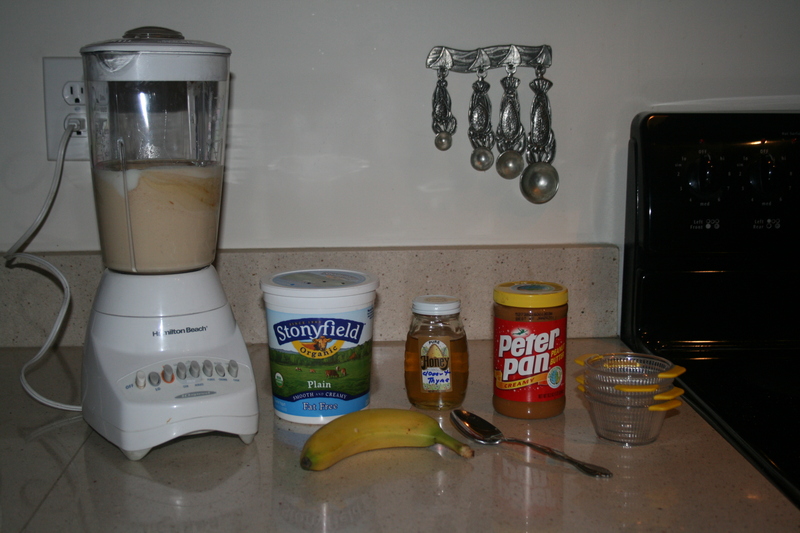 Combine all in a blender, pour into cups, then freeze. I used organic yogurt, it has healthy cultures that are good for digestion. 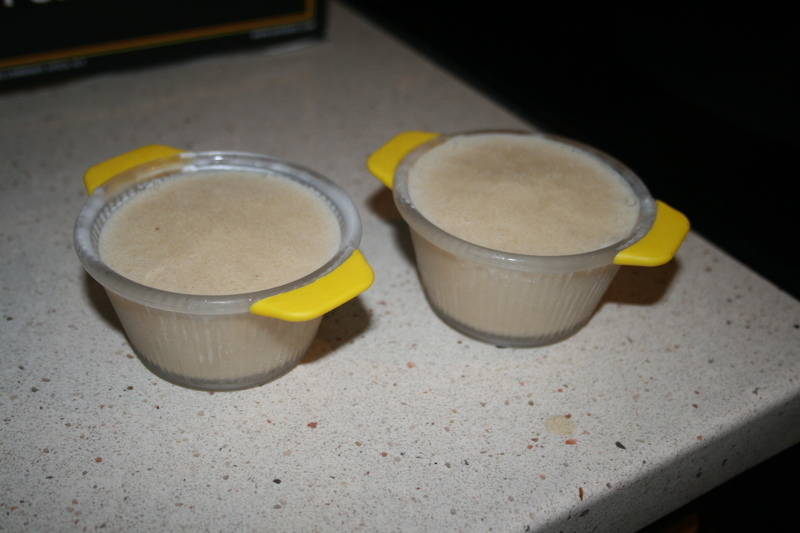 These small condiment cups that I bought at a kitchen supply store were the perfect size, and they didn’t tip over when the girls enjoyed their treats. The final test was the taste test–and no suprise, the ice cream was a big hit! That’s great! I am going to have to try it! Where did you get the cups, and what are they made of? I bought the cups at a kitchen supply store at the Leesburg outlets, but I imagine Sur La Table, World Market or even Target would have them. 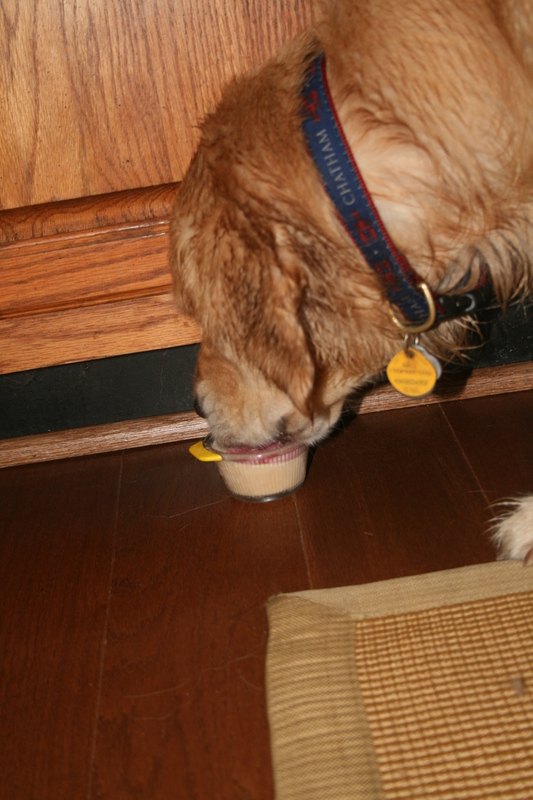 They’re a thick plastic, dishwasher-safe, and shallow enough so the dogs can get every last bit of ice cream!